“I bring you good news of great joy which will be for all people.” Luke 2:10 NAS. “Merry Christmas” is an all too familiar greeting, but merry seems a bit underwhelming when describing the history-changing birth of Jesus. Merriment is a good thing that comes from enjoying good times with good friends. But Christmas is so much more. And God has more for you, much more. I believe, “Joyous Christmas,” would be more appropriate for God’s intent for this and every season of life. This Advent, open your heart and home to be overwhelmed by an inexpressible and glorious joy. That’s how Peter described Jesus’ presence permeating your heart and daily life. “You believe in Him and are filled with an inexpressible and glorious joy.” 1 Peter 1:8 NIV. Your experience and expression of the Savior’s birth, life, and sacrifice promises no less and deserves nothing less than great and glorious joy. Let your joy be unrestrained. That first, auspicious Christmas night, the herald Angel’s announcement to the shepherds described the moment and promise, “Behold, I bring you good news of great joy which will be for all the people. For today, there has been born a Savior, who is Christ the Lord.” At such news, Heaven could be silent no longer; “Suddenly, there appeared a multitude of the heavenly host praising God and saying, ‘Glory to God in the Highest and on earth peace among men with whom He is well pleased.” Luke 2:10-14 NAS. 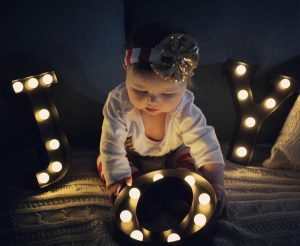 Indeed, the Incarnation was “good news of inexpressible and glorious joy.” However intended for you His joy may be, great joy requires your initiative. Joy is a gift God chose to give; joy is a choice you must make. Advent invites you to choose joy. Nurture joy in your heart because it is not natural to our fallen nature. Choose joy again and again until joy becomes a settled disposition of your spirit, while you draw continually on ample, spiritual resources. Jesus said, “If you remain in Me and My words remain in you . . that My joy may be in you and your joy may be complete.” John 15:7/11 NIV. Inexpressible joy should not be left unexpressed. When you have His joy completely, you will express His joy consistently. You can’t share something you don’t have, and you won’t keep something you don’t share. When you give joy, you gain joy. Celebrate with abandon and without apology. Let His joy be real in you until it is irresistible to others. Incarnate the joy of Christmas that an unbelieving world cannot resist. Great joy is unknown where the Good News is untold. As our family entered this Thanksgiving and Christmas season, we are grieving the death of a 21-year-old son and grandson, Parker. I empathize with others who feel the shadow of grief at this season. Grieving is unavoidable, even appropriate in such circumstances. A friend recently commented, “Sometimes tears are all we have.” Grieving is no reproof of joy. Grieving is the process by which healing comes. Grieving needs time and trust to accomplish its purpose. Allow yourself time, and choose joy this Christmas. Grief will give way to healing and the joy that results. Joy is not some sort of hilarity; joy is a settled confidence that God is Who He says He is and will do what He says He would do. Hope, joy, and peace are God’s incomparable Christmas gifts for you. You can find joy amid grief, when you include trust and hope. “May the God of hope fill you with all joy and peace as you trust in Him, so that you may overflow with hope by the power of the Holy Spirit.” Rom 15:13 NIV. Choose joy this Christmas. Today, I pray that Jesus is the source of your joy and your celebration is without restraint. Can you imagine that first Christmas? The world was as it had always been until it wasn’t, ever again. A humble birth in a common stable. Angel’s singing. Shepherds tending their sheep. Kings arriving. A baby born like all others, yet unlike any other. Christmas is about a Savior. At Christmas, the Creator came into His creation for our redemption. Luke described the miraculous moment this way, “And suddenly there was with the angel a multitude of the heavenly host praising God and saying, ‘Glory to God in the highest, and on earth peace, and good will unto men!’” Read Luke 2:7-20. Imagine the shepherds’ emotions when starlit skies erupted with angelic voices and the glory of God enveloped them. Routine was broken. Fear replaced wonder. The common became sacred. But Heavenly visitations reach well beyond the moment. “So it was, when the angels had left them and gone away into Heaven . .” The songs ended. They always will. The dark of the Judean night returned. It always does. Angels are messengers, but the Savior comes to abide in hearts forever. When Heaven touches your life, what you do next is eternally consequential. After the angels’ song, “The shepherds said to one another, ‘Let’s go to Bethlehem, and see this that has happened, which the Lord told us about.’ So the shepherds hurried off and found . . the baby, who was lying in a manger.” Luke 2:15-16 NIV. Promptly, they went to find the Savior. Several things in those verses are well worth mentioning. The shepherds encouraged one another with the Good News. 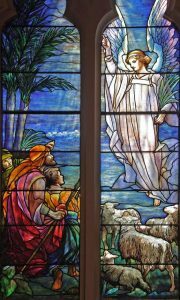 The shepherds gave immediate priority to seeing the Savior of Whom the angels sang and hurried to respond accordingly. Angelic visits are momentary while Christmas can change your eternity. What surprises can also frighten; they might have fled from such a frightening sight and sound. They could have been content to continue their safe, familiar routines. They could have enjoyed the temporary exhilaration, yet been distracted from the preeminent, Heavenly visitation of all history. That would have been tragic, yet exactly that can happen at Christmas today. However wonderful any single experience, the impact should shape your subsequent choices and actions. Those alone determine direction for your life. It is tempting to chase such emotional highs without examining God’s purpose when gracing your life in such pregnant moments. “So they hurried off and found the Baby.” They responded immediately to a new reality. That’s what they did, and what you and I will do when we understand Christmas. Response releases revelation. Christmas is about more than hearing angels’ songs; Christmas is about seeing the Savior. And having your life changed. Joseph and Mary could never again be the same, nor were the shepherds, nor the Wise Men, nor any of those who have received Jesus in their hearts in the generations since. When you experience Christmas, your life is changed. “Then the shepherds returned [to their flocks] glorifying and praising God for all the things they had heard and seen, as it was told them.” Luke 2:20 NKJV. Christmas changes who you are, not where you are. Today, I pray for you to rejoice in the Savior not the celebration. Gayle and I wish you and your family a Merry Christmas and His abundance of joy and blessings in the New Year. Thank you for your support and partnership in the ministry of EveryDay Life. In life, you will make numerous directional decisions. Those decisions touch your future in ways you will not foresee. In such moments, it is important that you consider your choices carefully. Seek counsel with others who know you, as well as have your confidence in their consistency of knowing God, His Word, and His ways. And of primary importance, always seek God’s wisdom for all that you and they cannot know. “If any of you lacks wisdom, he should pray to God, who will give it to him; because God gives generously and graciously to all.” James 1:5 TEV. God and His Word have all the wisdom and knowledge life will require. Some people come to such moments of decision and become stuck. Due to indecision about what to do or which way to go, some go nowhere. Indecision is always a wrong decision. In such a situation, and with an entire nation relying on his leadership, Joshua received God’s counsel and it remains good counsel for you. “Do not turn from [God’s Word] to the right hand or to the left, that you may prosper wherever you go. This book of the Law shall not depart from your mouth . . so that you may be careful to do everything in it. 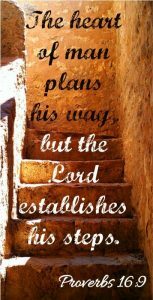 Then you will be prosperous and successful . . for the Lord your God will be with you wherever you go.” Joshua 1:7-9 NIV. Life is not ultimately determined by which path you follow, as much as it is that you are careful to know and do what God says along your journey. Then the Lord will be with you wherever you go. Better to be on any path with God than a right path without Him. More frequently, the challenge you will face is whether to go on or turn back – whether to move forward in faith or retreat to surroundings more safe and familiar. Experiencing the disappointment of a companion who turned back, he wrote, “Demas has forsaken me, having loved this present world more.” 2 Timothy 4:10 NKJV. Read John’s advice, 1 John 2:15-17 NKJV. Since your new life is in Christ, the world is behind you; keep it there. Keep moving upward and onward as God wills. Jesus was clear about following Him, “No one after putting his hand to the plow and looking back is fit for the Kingdom of God.” Luke 9:57-62 NAS. “I want to know Christ and the power of His resurrection and the fellowship of sharing in His sufferings, becoming like Him in His death, and so, somehow, to attain to the resurrection from the dead. Not that I have already obtained all this, or have already been made perfect, but I press on to take hold of that for which Christ Jesus took hold of me. I do not consider myself yet to have taken hold of it. But one thing I do: Forgetting what is behind and straining toward what is ahead, I press on toward the goal to win the prize for which God has called me heavenward in Christ Jesus.” Philippians 3:12-14 NIV. Your direction is governed by your spiritual passion. “My whole being follows hard after You and clings closely to You.” Psalm 63:8 AMP. Today, I pray for you is to never settle for less than God’s highest and best. I was captivated when I read these words, “We walk with Jesus in the pain; we don’t just wait for His appearance at the end of it. We tell Him, ‘Even now, I love You. Even now, I believe in You. 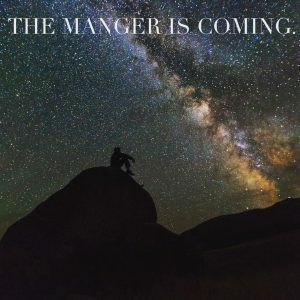 Even now, I trust You.’” Our granddaughter had read and shared an excerpt from a Christmas Blog – The Manger is Coming – by a talented Christian author, Jen Tentmaker of Austin Texas. The quote capsulized our family’s tender emotions from recent months, having said farewell to a 94-year-old father and grandfather, as well as a 21-year-old grandson, son, and brother. But also, her words capture our sustaining faith in the sufficient grace of God. With due credit to the author, I share her comments at this Advent season. “Some categories of waiting are brimming with excitement. We know something is coming, we know God is moving, we know our story is about to change, we know there is something holy and wonderful just beyond our reach. We wait with great expectation, like the wide-eyed, can’t-sleep, almost-there excitement of Christmas Eve. But I am also reminded that as we engage the practice of waiting this Advent, some waiting is excruciating. Some of us are waiting for a dark night of the soul to finally end, for a small measure of relief from agony, for a wilderness season to give way to the Promised Land. We are waiting for mended relationships, prodigal children, deferred hope, or elusive peace. We are waiting for Jesus to show up and return joy to the world. Don’t forget that as you are waiting for Jesus, you are also waiting with Jesus. We never suffer alone. He came. And Advent reminds us to prepare our hearts, even in the wait. After all, these few days we have on earth are the only ones we’ll ever get to practice faith … one day, faith will be obsolete because we will know and see in full. So we work on waiting well. We offer our faith, however shaky, however thin, however tinged with sorrow. We practice kindness and goodness, patience and generosity – some of the hardest virtues to hang onto when the wait takes our breath away. We walk with Jesus in the pain; we don’t just wait for His appearance at the end of it. We tell Him, “Even now, I love You. Even now, I believe in You. 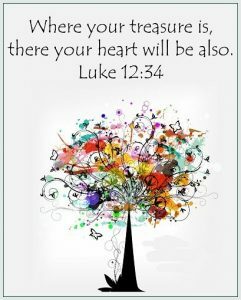 Even now, I trust You.” We humbly ask God to reveal whatever He would have us hand over: pride, self-sufficiency, fury, fear. Nothing can purify our hearts like a wait endured with faithfulness. When I am in a painful wait, when it seems endless and my heart is worn out, I ask myself: “What do I want it said of me one year from now? What do I want to look back on and be proud of?” Did I burn everything to the ground? I’ll regret it. Did I ruin relationships or blame the wrong people? I’ll be sorry. Did I release my faith at the very moment I needed it the most? What a loss that would be. May I bless the name of Jesus not just in abundance but in want. As I read her words, I thought of our present and future reality, “Now we see things imperfectly, but then we will see everything with perfect clarity. All that I know now is partial and incomplete, but then I will know everything completely.” 1 Corinthians 13:12 NLT. At this Christmas season, I wait for Him with joy in His unchanging truth, “So Christ was sacrificed once to take away the sins of many people; and He will appear a second time, not to bear sin, but to bring salvation to those who are waiting for Him.” Hebrews 9:28 NIV. I am waiting for Him! As He came as the child of Bethlehem, He will return as the Christ of Glory! Today, I pray for you to walk through this season with trust and joy. For further inspiration, I refer you to Jen Tentmaker’s Facebook page.